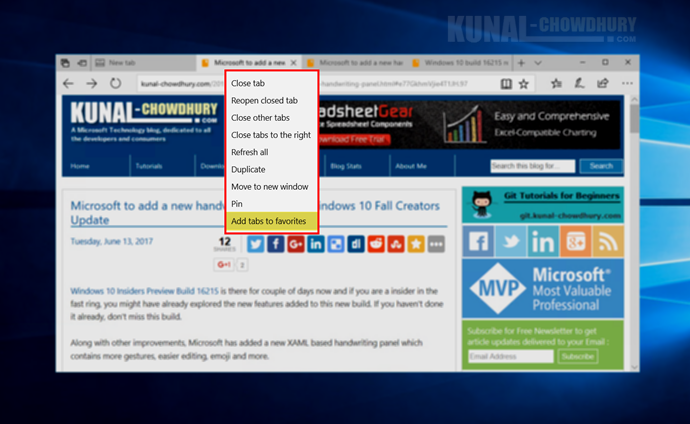 If you are a Windows Insider in the fast ring and already installed the preview build 16215, you can add the open tabs of Microsoft Edge to favorites, at a single step. These changes are expected to release as 'General Availability' along with Windows 10 Fall Creators Update. If you have added tabs multiple times on the same date, a auto incremented counter will get added at the end of the folder name. Did you like this feature? Do let us know. Don't forget to check the other features added to Microsoft Edge, with the Windows 10 Insiders Build 16215. 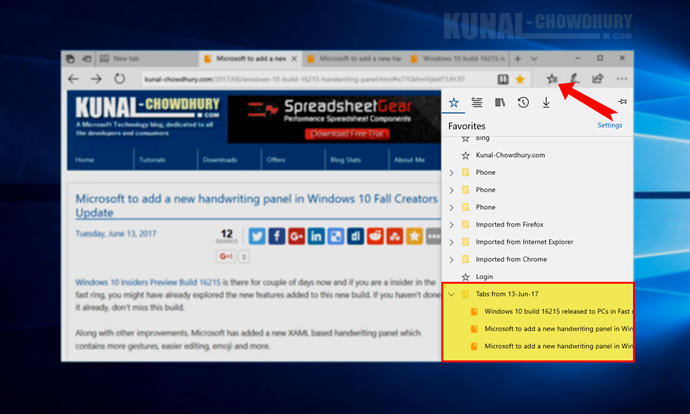 If you have come this far, it means that you liked what you are reading (Microsoft Edge to support adding all tabs to favorites in Windows 10 Fall Creators Update).